As you start to exit The Gorge and approach Glenhaven the river splits around a big bushy island. In almost all conditions except very low water, the recommended line is down the right. The left hand channel can be good fun! 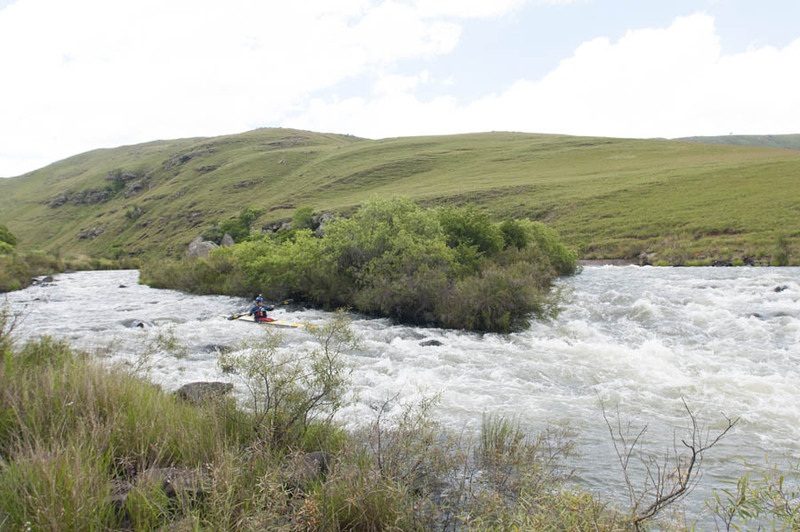 Enter extreme left in lower conditions or centre when it is full and enjoy the convergent wave in the middle, from where you need to paddle hard to exit on the right. The rocks on the left and centre are very unforgiving, so check it out first! The left hand line works at most levels, and can be fun in a high river! At medium to low levels you can enter right of centre and then stay right in the rocky lower section that leads to the convergence with the right hand channel.